MicroVentures was born out of the MicroLoan Foundation, a charity based in the UK, very active in the field of microcredit lending to the poorest of the poor in Malawi. The mission of MicroVentures is to train women in business and other skills enabling them to be more successful business women after receiving small loans. Dsenyo has teamed up with MicroVentures and works with two groups of their graduates who completed the sewing training certificate and now own their own businesses. 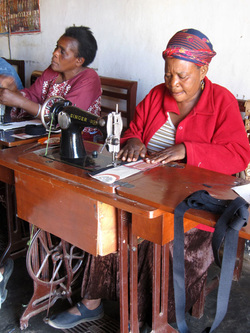 One group is based in Kasungu near the MicroLoan Foundation Malawi offices and the other group operates out of Mzuzu.